See and Do: The Arts Scene! Going a little stir crazy with all this cold weather? Get out of the house and get your culture on! It’s a great time of year to check out the arts scene. Go to a new exhibition at a museum. See a live theatre production or a dance show. Whatever you do, give Netflix a break, put on your glad rags and enjoy the abundance of arts and cultural options in Ottawa, Kingston and Toronto! What do you know about the Vikings? A special exhibition at the Canadian Museum of History sheds new light on one of the most storied cultures in world history. Called Vikings, this show will dispel all the myths and any stereotypes you may have about Vikings as barbaric marauders. Instead, it reveals an ancient Scandinavian culture of surprising sophistication and accomplishment. It also uncovers a supernatural world inhabited by Thor, Odin and other gods and giants. All told, the real story is engagingly disclosed in this popular international show. Vikings features 500 artifacts and a variety of interactive displays from The Swedish History Museum, some of which have been rarely displayed outside their homeland. For instance, there is a piece of 1,000-year-old bread in the Vikings exhibition. (And you thought the stuff in your kitchen was stale.) Vikings is presented until April 17. See www.historymuseum.ca for details. If you’re a photography buff, you’re in for a treat. Mirrors with Memory: Daguerreotypes from Library and Archives Canada is on display through February 28 at the National Gallery of Canada. The invention, in 1839, of the daguerreotype was an eye-opener. These reflective items were able to capture likenesses with astonishing clarity; viewers were enchanted. For the first time in history, depictions of loved ones could be precisely registered and shared. The social impact of photography was immeasurable. This show, from the collection of Library and Archives Canada, uncovers illustrations of Daguerreotypomania, a global phenomenon that dates back to the 1850s. Fifteen daguerreotypes are featured in Mirrors with Memory. These artifacts offer a captivating glimpse of our country in an earlier era. Some, including a portrait of Louis-Joseph Papineau, are from the Montreal studio of Thomas Coffin Doane. In the 1840s, Doane was noted for his portraits of prominent Canadians. Smaller images by unknown photographers are shown in their original lockets or pocket-sized cases. Canadian women performed crucial and often dangerous tasks during both World Wars, from manufacturing munitions to leading liberated prisoners through an Indonesian jungle. The Canadian War Museum is presenting their stories in an exhibition called World War Women. 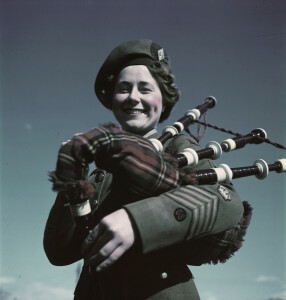 Divided into five thematic zones, World War Women uses artifacts, images, audiovisuals and archival material to delve into the personal stories of Canadian women during the World Wars. The exhibition also includes the stories of some of the more than 100,000 grieving wives, mothers and sisters who lost loved ones. Together, these stories paint a picture of how women’s lives and social roles were transformed in wartime. “Women broke through gender barriers to become munitions workers, truck drivers, mechanics and more,” says Stephen Quick, director general of the War Museum. World War Women runs to April 3. See warmuseum.ca for details. Enjoy an afternoon of symphony music January 31 at the Isabel Bader Centre for the Performing Arts. The Kingston Symphony presents Tchaikovsky & Trew, starting at 2:30 p.m. This performance showcases both classical and contemporary pieces, including Rossini’s Overture to William Tell, Tchaikovsky’s Violin Concerto with virtuoso Bénédicte Lauzière, and the world premiere of a symphonic work by Ryan Trew. The symphony’s music director, Evan Mitchell, is the conductor. Tchaikovsky & Trew is part of Kingston Symphony’s popular Masterworks Series. The Isabel Bader Centre for the Performing Arts, affectionately called The Isabel, is located at 390 King St West on the shore of Lake Ontario. Home for the creative arts at Queen’s University, it’s also a hub for the arts in the greater community. For concert details and tickets, see www.kingstonsymphony.on.ca. Country music fans are in for a treat. Corb Lund and the Hurtin’ Albertans are onstage at the Grand Theatre for one night only, February 18, performing in the Regina Rosen Auditorium. The Hurtin’ Albertans include guitarist/multi-instrumentalist Grant Siemens, upright bassist Kurt Ciesla and drummer Brady Valgardson. They and Lund are promoting the honky-tonker’s latest album, Things That Can’t Be Undone. Described as a “self-assured and mature set of songs” Things That Can’t Be Undone pairs Lund’s characteristically sharp songcraft with a bevy of new sounds, thrusting his mix of earnest Americana, rollicking honky tonk and rousing alt-country to new heights. Influenced heavily by 60s and 70s rock and country, this collection is also infused with the kinds of narratives for which Lund is beloved. See kingstongrand.ca for tickets and details. 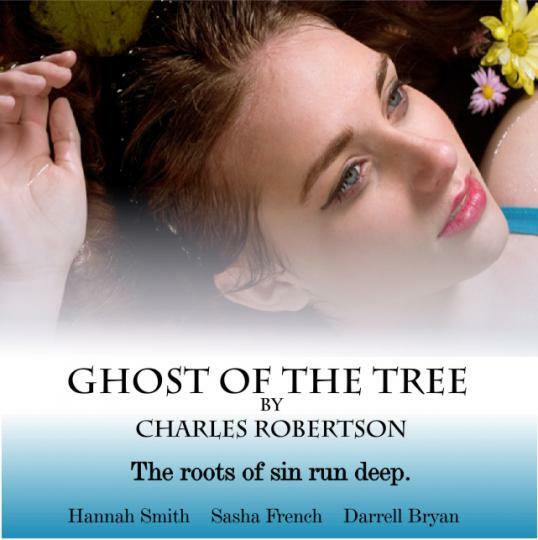 Bottle Tree Productions is celebrating the start of its 10th year February 24 with the show that started the company: Ghost of the Tree, Charles Robertson’s acclaimed play about mothers, daughters, and family secrets. The show stars Hannah Smith, Sasha French and Darrell Bryan, with original music by Darrell Bryan. According to David Prosser, director of communications for Stratford Shakespeare Festival, “Ghost of the Tree is an ingeniously conceived, poignant, engaging and thoroughly entertaining meditation on time, motherhood and the choices that shape our lives and the lives of those that succeed us.” There’s more high praise, this time from Valerie Cardinal of Onstage Magazine: “Ghost of the Tree is a winner from beginning to end, and the star is Hannah Smith. Thanks to strong writing, direction and fellow performers, she shines and makes each and every one of her characters alive and engaging.” This production runs one night only at 7:30 p.m. in the Regina Rosen Auditorium, at the Grand Theatre. 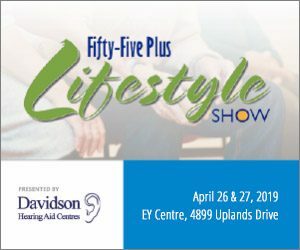 See kingstongrand.ca for tickets and details. 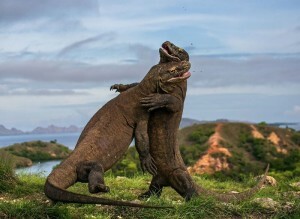 You will be dazzled by the Wildlife Photographer of the Year (WPY) exhibition at the ROM. The exhibition, on tour from the Natural History Mu- seum (NHM) in London, showcases 100 of the natural world’s most amazing images from professional and amateur photographers from 96 countries. This year’s show features photographs from three Canadians including the overall winning image from Don Gutoski, of London, Ontario. Gutoski’s photo, A tale of two foxes, was taken around Wapusk National Park, near Cape Churchill, Manitoba. Also featured are photographs from Connor Ste- fanison, the Rising Star Portfolio Winner, and Josiah Launstein, a finalist in the 10 Years and Under category. Wildlife Photographer of the Year is the most prestigious and longest-running wildlife photography competition in the world and it draws more than 42,000 entries from around the world. The exhibition is now in its 51st year and is making its third appearance at the ROM this year. See www.rom.on.ca. Harbourfront Centre’s World Stage 2016 runs from January 20 to June 11, offering contemporary performances from around the world. It includes seven theatre, dance and multidisciplinary shows from Belgium, Canada, England, France, Germany, the Netherlands and Palestine. The lineup starts with Ger- minal from January 20 to 23 at Fleck Dance Theatre. By Halory Goerger and Antoine Defoort of France, Germinal is about adventurers who imagine how they would remake the universe. Next, the World Stage Mirror Ball is January 30 at Harbourfront Centre Theatre, followed by Badke onstage from February 17 to 20. This dance performance brings together a group of Palestinian dancers who trained outside their home country. From April 13 to 16, you can see Portraits in Motion by Volker Gerling of Germany and from April 27 to 30, the Canadian premiere of Looking for Paul: Inez van Dam vs. the Buttplug Gnome is onstage. Zata Omm Dance Projects’s Steer is on the spotlight from May 11 to 14. See harbourfrontcentre.com/worldstage for details. A new installation at the Art Gallery of Ontario showcases the work of a contemporary Chinese artist and draws attention to the effects of rapid change. Chinese sculptor and multimedia artist Song Dong is making his Toronto debut with the exhibition Song Dong’s Communal Courtyard. It features over 100 doors reclaimed from vin- tage wardrobes formerly used within traditional courtyard homes in Beijing, and it runs from January 30 to July 17. A leader of the Chinese avant-garde, Song uses art as a means to make sense of China’s social and economic upheavals. This installation in the AGO’s Signy Eaton Gallery allows visitors to wander among curving walkways and oval rooms created from over 100 interlocking wardrobe doors. These doors were collected from traditional family homes in Beijing that were often arranged around shared courtyards (dazayuan). This type of domestic architecture, which blurred boundaries between public and private space, has largely disappeared in contemporary Beijing. Each door is unique and carries evidence of former owners’ lives through scratches, paint, paper and mirrors.